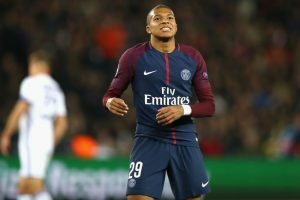 Captain Paul October 23, 2018 NEWS, NON-PREMIER LEAGUETagged Kylian Mbappe, Kylian Mbappe news, Kylian Mbappe newsnow, Ligue 1, Ligue 1 news, Ligue 1 newsnow, PSG, PSG news, PSG newsnowLeave a Comment on Kylian Mbappe – the next all-time legend? Based in the north-eastern suburbs of Paris, AS Bondy isn’t a club that many will be familiar with. Languishing in the 10th tier of French football, the club have experienced virtually no success at senior level. Although they might not have been successful in terms of trophies, they have had a very successful youth system over the year. Players such as Sebastien Corchia and Fabrice N’Sakala have passed through their academy, but their most successful youth product is expected to be French superstar Kylian Mbappe. Eventually Mbappe moved to the prestigious Clairefontaine football academy at the age of 12. During his time with the academy, Mbappe put in a number of impressive performances which led to major French and European clubs attempting to sign him. Chelsea managed to invite Mbappe for a trail when he was 11, but nothing materialised. The current Premier League champions Manchester City were also one of the many teams that tried to sign him, but like Chelsea they failed in their pursuit. However, there is a chance that they could face Mbappe if they are drawn against PSG in the knockout stage. Both teams are favourites to lift the trophy and many sites allow you to view the Man City to win Champions League odds and place a bet on them. Although almost every major European club had their eye on the youth prospect, Mbappe ultimately settled on Monaco. Despite his young age, Mbappe made his professional debut for Monaco aged 16 years and 347 days. His appearance broke a 21 year old record, set by Thierry Henry, as he became Monaco’s youngest-ever first-team player. The youngster then broken another one of Henry’s record in February 2016 when he became the youngest first-team goal scorer in Monaco’s history. Although Mbappe had only just signed his first professional contract, the forward was an instrumental part of the Monaco team and quickly cemented his place in the first team thanks to his goalscoring ability. In their sensational treble-winning 2016-17 season, Mbappe found the back of the net 26 times in 44 appearances and scored some huge goals in their Champions League semi-final run. Unsurprisingly, his form led to intense transfer speculation all summer with Real Madrid and Paris Saint-Germain (PSG) the favourites to land the teenage sensation. In the end it was PSG who secured their man on loan with an obligation to buy fee set at around £166 million, making him the most expensive teenager on the planet. Despite the large price tag, Mbappe continued his incredible form with PSG in his first season with the club. 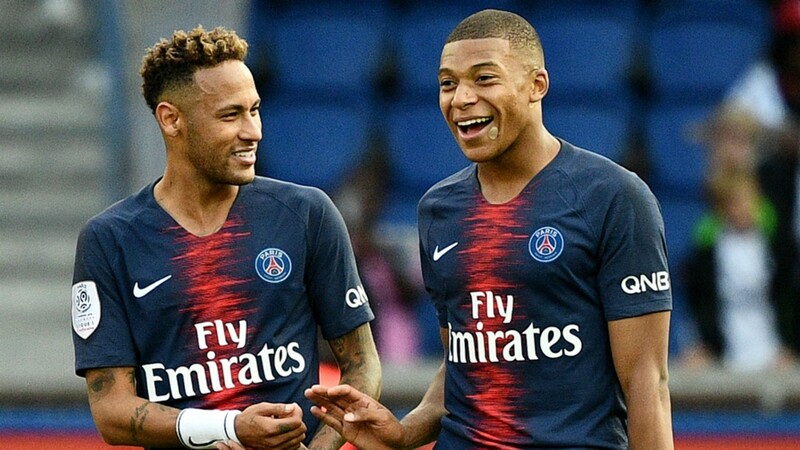 Along with £200 million winger Neymar and Uruguayan forward Edinson Cavani, the three players formed an incredible partnership which ended with PSG securing every single domestic honour in the country. It’s no secret that Mbappe has had a meteoric rise to the top of the game, but can he take it one step further and go down as one of the greatest players in the history of the game? At 19 years old, Mbappe has plenty of time to make himself one of the all-time greats, but he has already set records which players can only dream of setting. His biggest achievements in his career so far came at the 2018 World Cup. 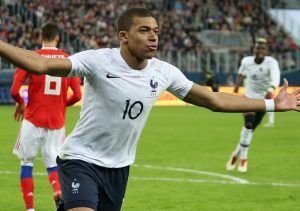 In France’s second group game, Mbappe scored the only goal which made him the youngest French goalscorer in World Cup history at age 19. The wonder kid would then be placed amongst the best in the game just a week later when he scored a brace in a 4-3 win over Argentina. His two goals meant that Mbappe became only the second teenager to score more than one goal in a World Cup match since Pele in 1958. The PSG forward would then make history again in the final, becoming the second teenager, after Pele again, to score in a World Cup final. It’s not just on the international stage where Mbappe has proved himself. As mentioned earlier, the forward became the youngest debutant, goalscorer, and hat-trick scorer during his time at Monaco. Not only has he broken these records, his goal scoring records have eclipsed those posted by the like of Raúl, Fernando Torres and Sergio Agüero. There’s obviously a long way to go in Mbappe’s career, but if he keeps on performing at the same level throughout his career, there is no doubt that he will go down as one of the greats.